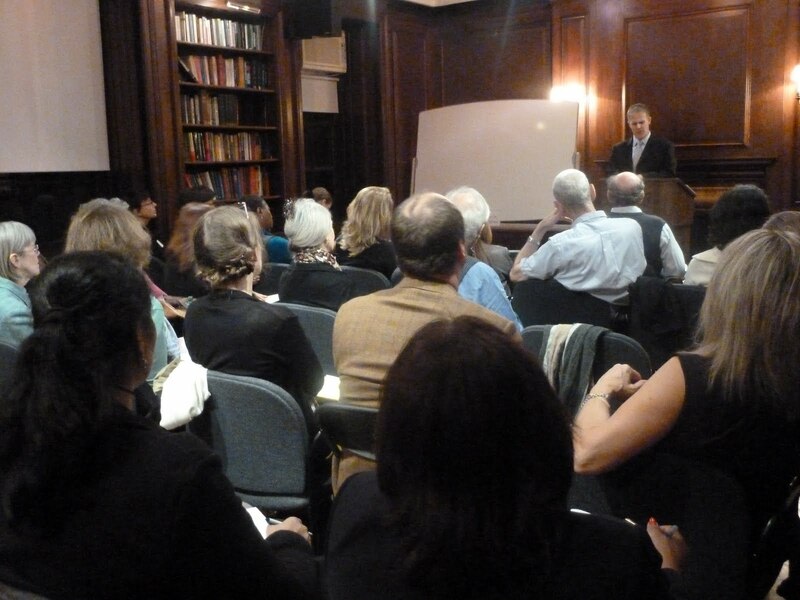 On October 21, 2011, the Ackerman Institute presented its fall alumni lecture hosted by the Alumni Association with a presentation by Adi Loebl, faculty at the Institute and the resident psychiatrist. The talk titled, “The Intersection Between Psychiatric Diagnosis, Pharmacological Treatment and Systemic Therapy,” focused on how families can be used as a resource in refining diagnosis and treatment and the meaning of taking medicine. Dr. Loebl mentioned new ways to move away from the classical model of separating individual, family, and psychotherapy into an integrated family process. Some of these ways included involving caregivers in family therapy and increasing accuracy of treatment through how members of the family reveal and describe others’ behaviors. He emphasized how families have beliefs pre, during, and post treatment, especially around the idea of being a failure or getting addicted to medications. “There is a lag between feeling better and acting and behaving better,” he explained. “Oftentimes, the person on the medicine still feels depressed but others in the family notice a change.” Dr. Loebl also made interesting points on how families often get organized around the “ill” person, and how the ill person in that situation feels an additional pressure to get better. He opened the talk up to discussion and questions on psychopharmacology and family therapy.